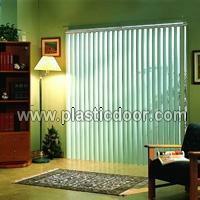 In Danny, you will no longer have limited choice in vertical blinds. We provide many different sizes of vinyl vanes to fit your room design. Our vertical type of blinds can effectively prevent sunrays from entering the house just as well as the horizontal ones do. Also, they are also uesr freindly, easy to install, replace and clean. We are ISO certificated supplier with professional technique to manufacture plastic furniture such as vertical blinds and related items. All of our products are under strict quality control and standard procedure. Danny is your top choice for beautiful and quality home furniture, so please do not hesitate and contact us today!